If you are fan of public speaking or if you simply work as a leader, manager, sales person or lecturer there are ways how to improve your speaking or in more general communication and presentation skills. You can certainly attend a course (expensive one!) and for few thousands Czech koruna, you will get 2 maybe 3 days of training. Usually lectors are rather theorist and you don't get lot of feedback on you personally in such short time. You will hear few tips, learn one or more methods how to prepare your speech, you will try some roles plays, get modest feedback on your performance and .. that's it. Of course you can still read a book and memorize all of the theories how to use your body, what rhetorical devices are appropriate in various situations, how to be active listener or how to structure your presentations. But what is the value of this without practice? None. This was also my situation about a year ago. But then I got lucky because I met Tony. Tony is a very interesting guy. He is in the age of typical Czech grandfather, travelled all around the world, has even experienced a war conflict and moreover he can read people like books. I saw his mastery in communication and dealing with people and during one day we opened the topic of a typical and very common rhetorical hiccup “Uhms and Ahms” or so called fillers (you may know other common fillers like "actually" or "like"). And I noticed he does not use any fillers at all, so I asked him "How did you get rid of this nasty habit?" and then I learned about Toastmasters. There is no magic and no mystery. 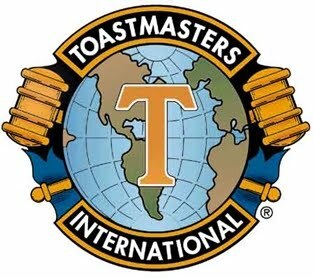 Toastmasters is international non-profit organization having clubs all over the world, where people interested in communication, public speaking and leadership meet and improve their skills in these areas. During the typical meeting people learn and deliver prepared speeches, receive detailed feedback from other members and practice, practice and practice. Toastmasters provide detailed manuals for various types of speeches and leadership projects and continuously improve your speaking and presentation skills from basic to very advanced level. 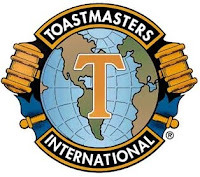 From a beginning in 1924 at the YMCA in Santa Ana, California, Toastmasters International has grown to become a world –wide popular way how to help people become more competent and comfortable in front of an audience. The nonprofit organization now has nearly 260,000 members in over 12,500 clubs in 113 countries, offering a proven – and enjoyable! – way to practice and hone communication and leadership skills. You can find Toastmasters club in every single country of Europe, in each capital. There are 7 English speaking clubs in Czech Republic in Prague, Hradec Králové, Pardubice, Olomouc and finally Brno. I still use some ahm and uhms. I still don't use all rhetorical devices I could and I still stand too still when giving speech, but I improved so much over the last year. I received lot of invaluable feedback from others. Learned to use anaphora and get rid of the cliché in my presentations. I also learned to understand body language and communication of others. Toastmasters works. It really works and I can say that based on personal experience. Because it works I decided to launch Toastmasters club in Brno and get most of it. Club dedicated and focused on people who are managers, who work with people as leaders, who are running their business, who are selling products, who are teaching others or who are in general professionals, mature and experienced, having something to share and interested in meeting new people having the same background. If you want to improve your communication and leadership skills, meet some new people with common background you are invited to Brno Business Toastmasters club. Next Brno Business Toastmasters club meeting is on Wednesday 22nd of September, from 18:30 on Holandská 5, Brno. I look forward to meet you there. I know Toastmasters for 4 months, I passed 3 meetings, I delivered my first speech recenly and I must admit there is unique atmosphere. You can meet there people who want to develop themselves and have fun while doing so!